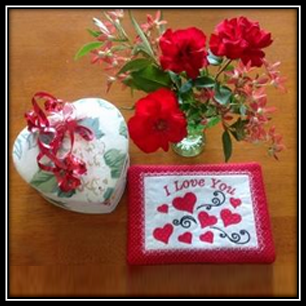 Heirloom Rose Tissue Box Cover set is digitized by designer “Stitch Delight.” This tissue box cover is a perfect gift for any female whether she is your mother, sister, friend, or fiancé. This project can be done in two different hoop sizes 5X7/6X10. 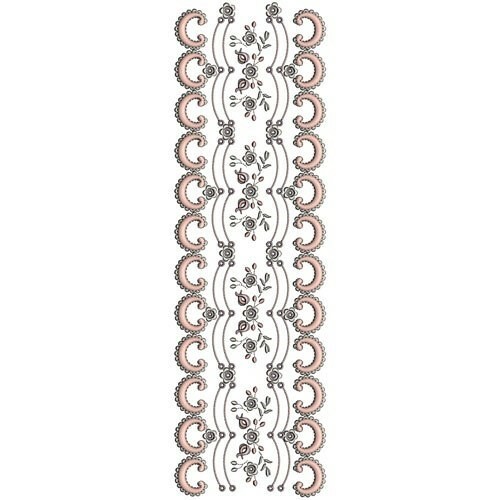 Serenity Table Runner set is digitized by designer “Alinaline.” Serenity project consists of intricate floral embroidery that offers an organic and flowing look to your dining area. 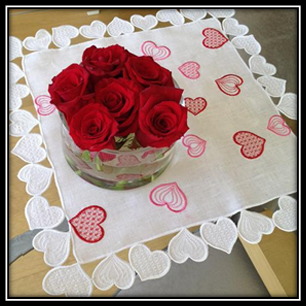 The combination of multiple thread colors adds more dimension and life to your table runner. 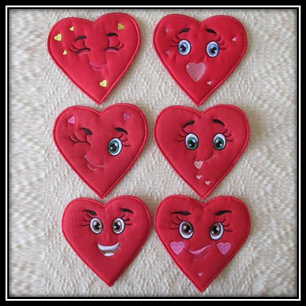 These designs are available in the hoop size of 5X7. Velvet Party Gloves Project set is digitized by designer “Oriental Embroidery.” The ‘Party Gloves’ project consists of 3 units that fit the hoop size of 5X7. A complete set of instructions is also included within this set. ITH Cherry Blossom Bag set is digitized by designer “JHB Creations.” This stylish and delicate bag can be prepared with or without the zipper closure. The finished dimensions of this bag are 10X14X3 inches. This set also comes with a complete set of instructions in the zip format. 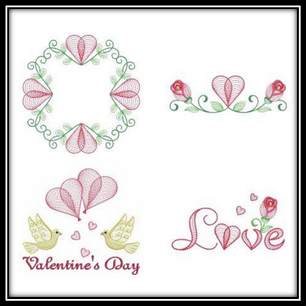 These embroidery designs are available in the hoop size of 5X7. 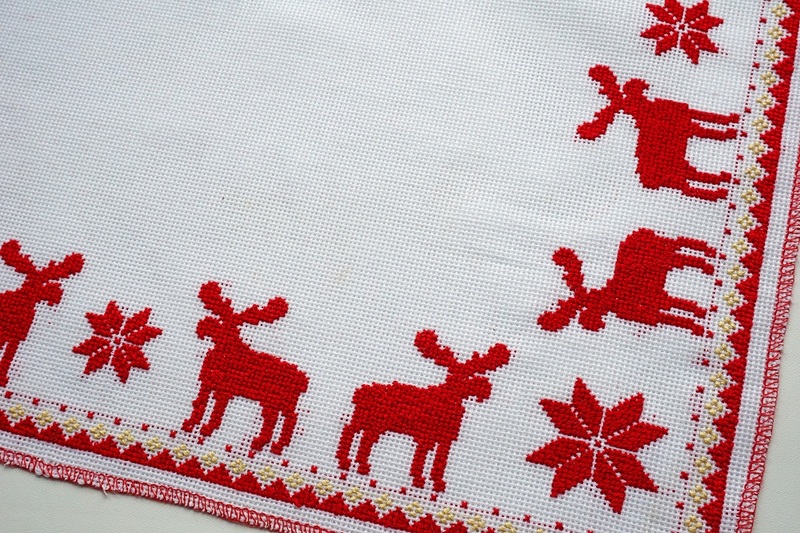 Small Borders Table Mat Project set is digitized by designer “MM Embroidery.” The collection includes four embroidery designs, PDF templates, detailed instructions, and a color chart to help you complete a circular table mat. 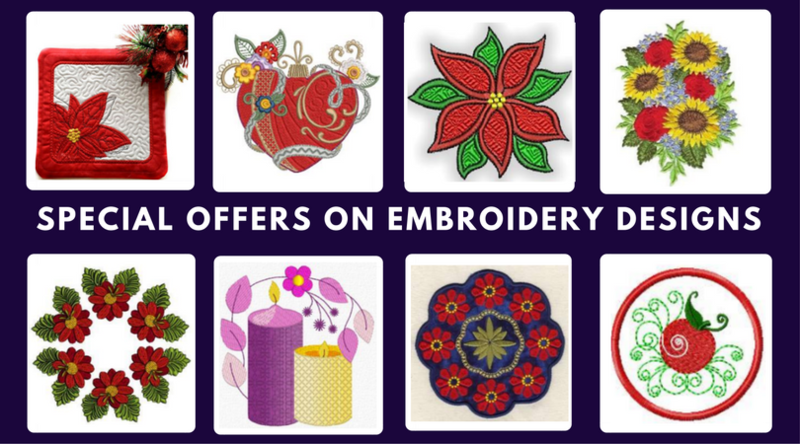 These embroidery files vary in size and create finished table mats 16 to 20 in diameter. Do share your images with us in the comment section below. For more designs, you can visit The OPW Mall – where YOU are always #1. 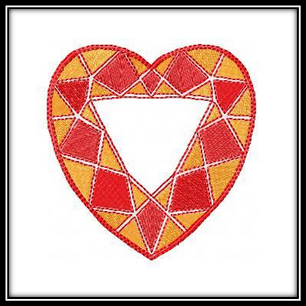 When I create a collection of embroidery designs I usually create at least four sets for several sizes of hoops. In doing so I am trying to create lots of designs that contain the elements of the collection so you have plenty of choice and can mix and combine the designs to embroider the area required for most embroidery projects. 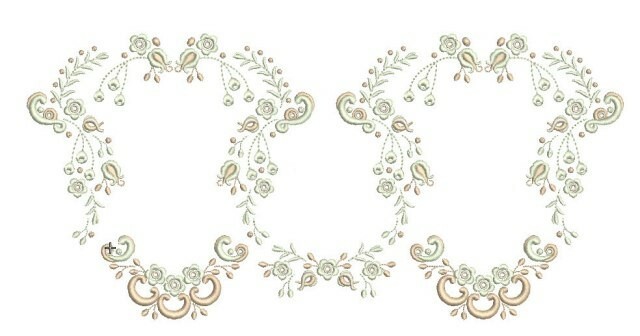 In the last set of designs in the Une Petit Princesse collection there are some lovely panels and borders as these designs were created for the 14.2″ by 6″ hoop. I would like to share just a few uses for these designs to help you create your heirloom project. Embroider a pair of GFE-UPP-5-2, mirror imagining them and placing GFE-UPP-1-12 underneath them. Notice the lovely shape that you get when this is done. 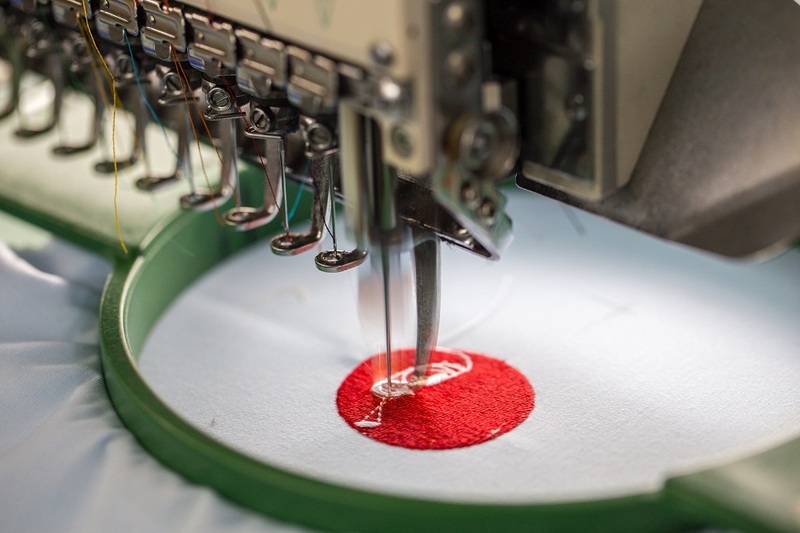 The shapes that embroideries create are as important as the actual embroidery. The third design in the set has been digitized to create an interesting shaped panel. Stitch a row of these out using the outline alignment stitches as a guide, or remove the small segment on the left of the designs for a totally different look. 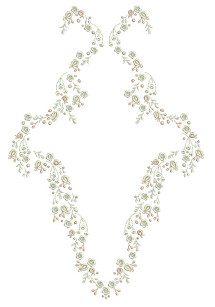 I took two of my favorite scalloped designs combining them to create this design shown below. I have adapted them somewhat but you will find that GFE-UPP-1-1 will join them nicely at the bottom and GFE-UPP-1-2 fits well above it. In the instance of stitching this combination out I would combine the two smaller designs in your machine embroidery software, stitching them out first and then placing GFE-UPP-5-4 each side aligning carefully along the bottom. GFE-UPP-5-5 has the scalloped button holes added so you can thread ribbon or strips of matching fabric through each pair of holes. If you require a wider band then edit the design to create another section to place each side including the button holes or just the scalloped segment. However some of you may prefer to use the middle section each side without the cross. It will depend on the width of embroidery that you require. I plan to create a tutorial on embroidering a Christening gown with this collection and would be interested to hear which your favorite designs are and what possible designs would enhance the versatility of this collection. Feedback from my customers is vital and I encourage it so that in the future I can improve my designs or add to collections. I have gone into some detail on four of the designs in collection 5, however there are 8 more in this set, several of which are narrow borders like the one shown above. There will be more ideas in the accompanying PDF which comes with the designs! I hope I have inspired you and that you will be able to create beautiful heirloom embroidered garments fit for a little princess or heirloom style accents for your home.